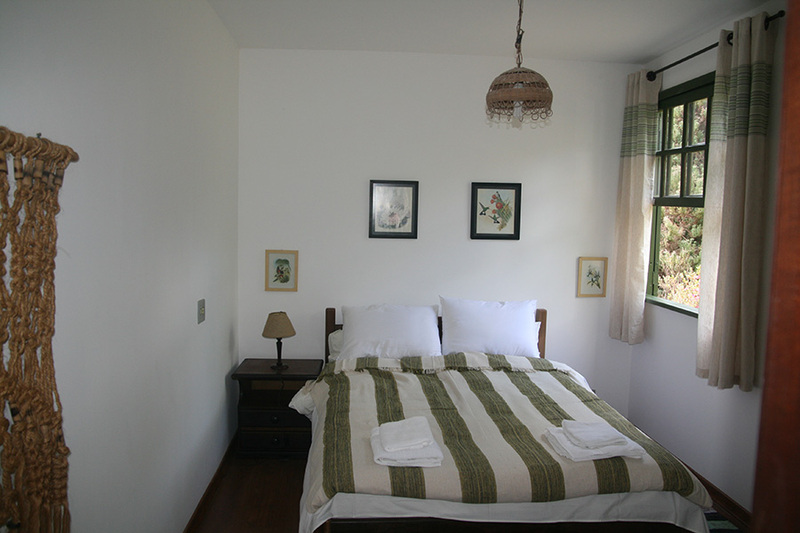 During your birding trip with us you will be staying at the lovely Itororo Eco-Lodge. 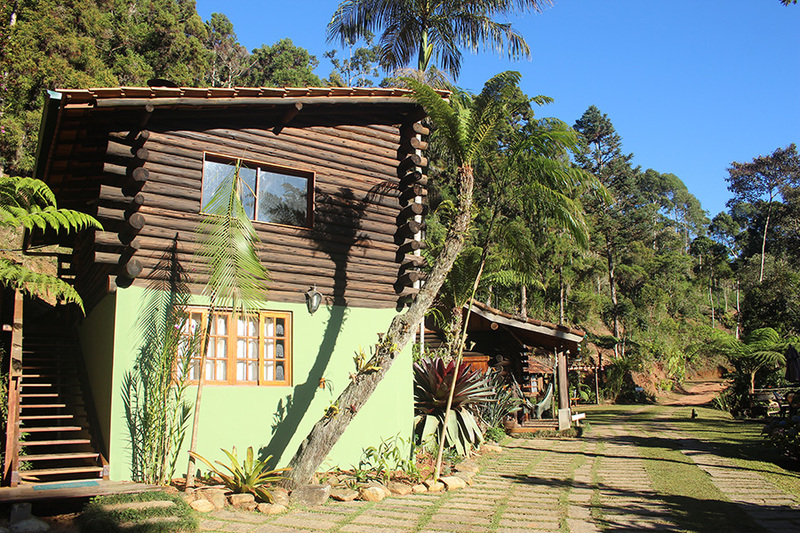 The lodge is located just 2.5 hours from Rio de Janeiro within the 58,790 ha Três Picos State Park, tucked away in its own beautiful 20 ha private valley at an altitude of 1,150 m. Surrounded by forest, the lodge sits in a truly privileged and quiet location and has its own trail network, providing guests with the opportunity of seeing many bird species within a short distance. The lodge offers accommodation for up to 14 people, making it small enough not to interfere with the surrounding environment and to be managed in such a way that guests feel like they are staying at a true home from home. Itororo means the “The Whispering of the Waters” and the property was originally established as a base by Dr. Fritz Dungs who used it as a starting point for numerous tours and expeditions into the Atlantic Forest for the study and the protection of orchids. During the course of his pioneering work he published two volumes of Orchidaceae Brasilienses together with G. F. Pabst, these books are regarded as a fundamental work about the Brazilian Orchids. The concept for setting up the lodge for botanical tours was the idea of Dr. Fritz Dungs’ son Rainer. Rainer now lives at and manages the lodge full time, he has a wealth of botanical knowledge and is always on hand to answer any botanical questions you may have. During the past 15 years we have gained a wealth of knowledge of the local birds including calls, seasonal movements, breeding sites and stake outs for particularly sought after species. Having spent countless hours in the field we are extremely knowledgeable and experienced in ensuring that our guests have a great time and see numerous species of birds well, including many of the rarities and endemics. You can either book a trip with us independently or join one of the many well known bird tour operators that now chose to stay with us. Itororo Lodge provides the perfect base from which to explore the abundant bird life that this area supports. Please contact us for further details or to make a booking. 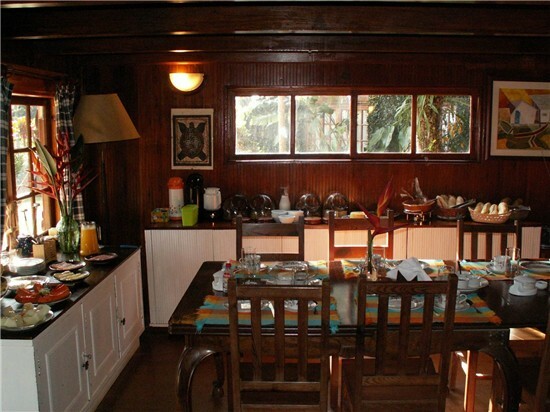 The lodge offers various types of simple but comfortable accommodation. We are pleased to be able to offer 7 well appointed twin or double en-suite rooms, some with their own open fireplaces to help keep you warm during those cooler winter evenings. 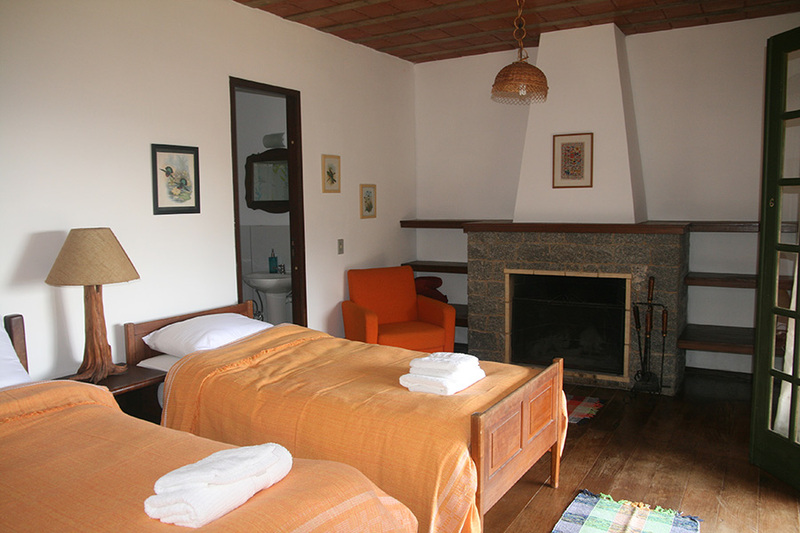 All of the en-suite rooms can also be used as single rooms for those that prefer. There is a small veranda at the front of the main lodge that is the perfect place to sit and watch some of the feeders, this together with the decking area provides comfortable areas to sit and relax upon our return from a great days birding in the field. The dining room is located within the main lodge (this is where we will often base ourselves to run through the days bird checklist). The lodges water supply is from a natural mineral water spring located further up the mountain, this provides fresh water directly to the lodge and also feeds a natural swimming pool within the lodge grounds. This offers a superb place to cool off during the heat of the day or to refresh yourself upon returning from a days birding in the forest. WiFi internet connection is also available free of charge to guests but please note that the connection is only sufficient enough to check emails. The lodge has an extensive collection of bird reference books which guests are free to browse through. Early breakfasts are always available together with a cooked lunch, or a packed lunch if you are going out for the day. In the evening we offer our guests the opportunity to run through the daily bird checklist, after which a delicious home-cooked dinner is served. We also cater for vegetarians and any other dietary requirements, but please let us know before your arrival. 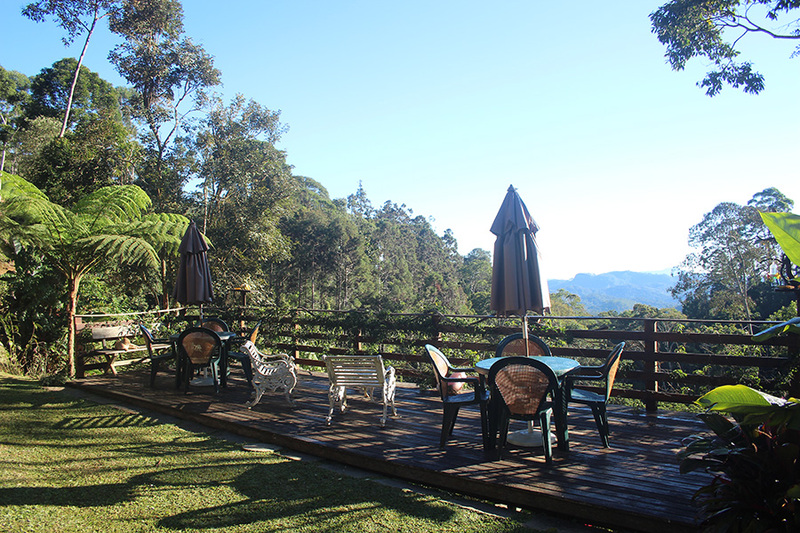 The lodge is situated in 20 ha of landscaped gardens and surrounded by forest, there is also an orchid and bromeliad garden and an array of flowering and fruiting trees and plants that attract a wealth of fauna into the lodge grounds. We have recorded over 180 bird species in the grounds of the lodge, of which 60+ are Atlantic Forest endemics! The grounds also have a number of bird tables, feeding stations and hummingbird feeders, which offer a chance to see a number of species close-up and provide some great photographic opportunities! For those wishing to explore further we have a number of trails within the lodge grounds that offer a variety of walks and excellent opportunities to search for various species of birds. We also offer an extensive range of expertly guided birding excursions to local trails at all altitudes within the local area, this ensures that you get the opportunity to see as many species as possible during your stay with us.